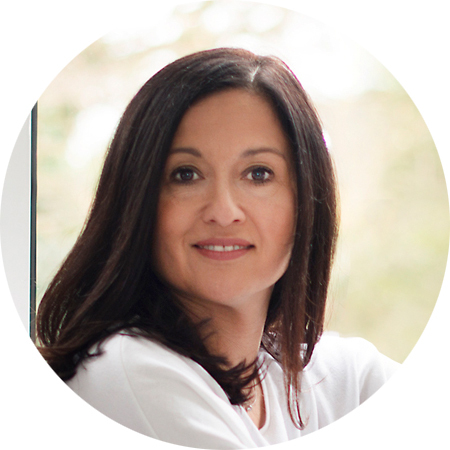 I am a leading wellbeing expert for pregnancy, mother and babies and the founder of MamaBabyBliss. With over a decade of experience in working with parents and babies, I am passionate about pregnancy, motherhood and babies. I am fully qualified and accredited in Perinatal Yoga, Holistic and Pregnancy Massage (ITEC with Distinction), Infant Massage & Baby Yoga. I am a leading wellbeing expert for pregnancy, mothers and babies specialising in pregnancy and postnatal yoga, baby massage, baby yoga, pregnancy and postnatal massage. I have developed unique and innovative training programmes, classes and treatments for prenatal and postnatal yoga, baby massage, baby yoga, pregnancy massage and postnatal massage that are now implemented through MamaBabyBliss teachers, therapists, hospitals and partners in the UK and across the world. I have worked also with some of the world’s leading mother and baby organisations as an expert and a speaker. I have been featured in the Huffington Post as well as other media and have written numerous articles for the parenting press.. I also regularly contribute to BBC 3Counties Radio as part of their family panel. My mission is to support women and their babies on this amazing and miraculous journey and I offer luxury and bespoke prenatal, postnatal and baby wellbeing packages. If you are interested in working with me, please fill in the contact form.